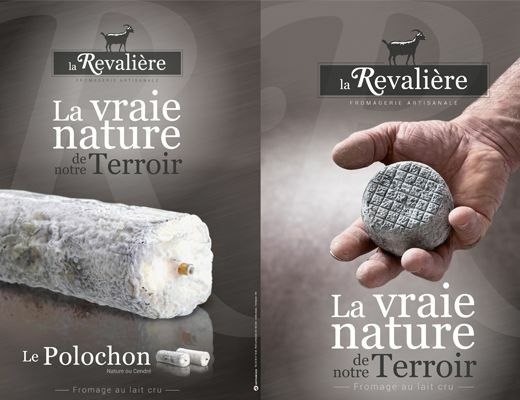 Depuis le début du mois de septembre, la Fromagerie de LA REVALIERE se lance dans un chantier d’envergure : Une station d’épuration. Nous installons une mini station d’épuration qui va permettre de retraiter toutes les eaux de la fromagerie. Ce traitement répondra à une situation environnementale plus pérenne. L’installation d’épandage des eaux blanches était devenue inadaptée au vue de la progression de la fromagerie.Un nouveau système de traitement des eaux va venir remplacer le précédent. Ce système de traitement sera maintenant en adéquation avec le niveau de production actuel. Ce système nous vient de Belgique, pays qui n’a pas le droit de faire d’épandage comme en France. Cette installation correspond à l’implantation de 3 cuves. Une de 15m3 et deux de 10m3. Pour l’instant, nous en sommes au terrassement. Heureusement le terrain est sec. Il est impressionnant le trou nécessaire à la mise en place des 3 cuves. Nous avons du sacrifier des arbres, mais c’est pour la bonne cause. Vous pourrez suivre le reportage photos du chantier sur Facebook. La Revaliere is proud to present you it’s newcomer, The Coquillon. His roudness, his veil of cream call it to voluptuousness and pleasure. All ingredients of happiness are together in this subtle and elegant cheese. 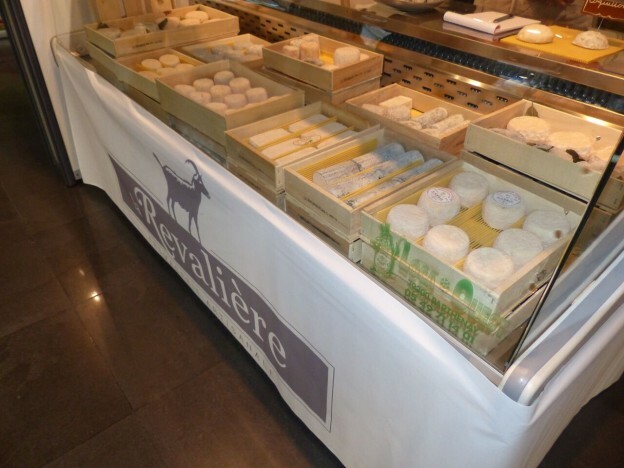 The World of Cheese in Tours, a major event in the profession, is to be classified in our success stories. We thank our customers, retailers, creamers for warm exchanges made possible by this encounter. New contacts were established and opening towards exports should become a reality. The Revaliere confirms its premium positioning. Energetic and excellent, the Revaliere is as much as its products … For proof, she’s the deparmental winner 2015 Stars & Jobs, commercial momentum category. 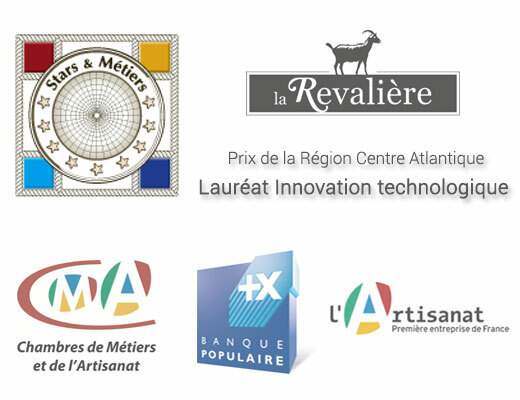 This trophy, initiated and organized by Banque Populaire and the Chambers of Trades and Crafts, rewards passionate leaders of craft enterprises. For over 30 years, the cheese factory focuses on its products, but doesn’t forget to well sell them. Nevertheless, our communication tools “homemade” were not up to the quality of our cheeses. So we appealed to the agency Altitude and Co and Mickaël Crenn to raise awareness and promote our business with our customers and cheese creamers. Now we have the presentation brochures, posters for our events, an aesthetic website … We are proud of these beautiful tools, and we are rewarded at all levels. Especially with this award, which encourages us to continue in this way! The awarding of the trophy Stars & Job was held May 20, 2015 at the Chamber of Trades of Parthenay. On this occasion a film that presents the cheese was broadcast. A real consecration! Dominique and Jean-Yves are those rare people who make a meeting a real special moment. Originate in the Gâtine in Deux-Sèvres, they have in the eyes an intact passion and defend with generosity the value of their land and their know-how of artisan cheese makers. With the complicity of their 6 cheesemaking at the service of quality, their products are in their image: sweet, generous, character, a thousand flavors.The great chiefs do not make a mistake by offering their cheeses for famous tables. 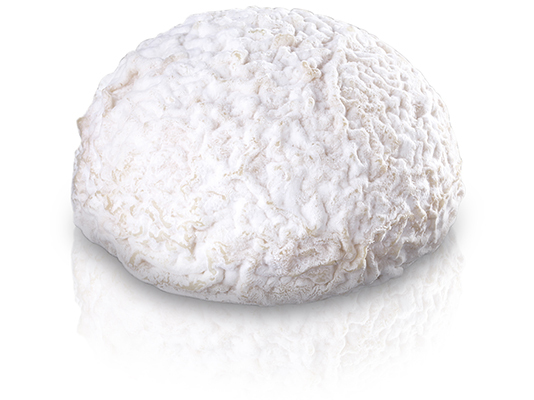 They spent more than thirty years perfecting the art of tradition that today the Revaliere cheeses are certainly one of the best goat cheeses from raw milk.